Tomato seeds – like the seeds of all plants – are rich in protein and micronutrients, as well as fiber. And the skin is especially rich in lycopene; tomatoes synthesize this famous bright red carotenoid pigment for antioxidant protection during photosynthesis, and it’s health-promoting in our diet because it confers protection from oxidative damage in our bodies as well. Because it’s designed to protect from the damaging effects of ultraviolet light, it’s unsurprising that it has a higher rate of accumulation in the fruit’s skin. We begin with halved WHOLE fresh tomatoes, big wedges of onion for savory sweetness, an entire head of garlic, and any available fresh herbs (my garden offered a couple prunings of stemmy/bolting dill). After popping the roasted garlic cloves from their skins, the whole tray is pureed with broth and finished in the pressure cooker. Creamy finish optional – either with fresh heavy cream, cultured cream, or blended cashew cream for a rich plant-based option. For the final step, grill yourself a cheese – or like I did this time, whip up a few open-faced cheesy toasts on seedy sourdough. And remember that Summer tomatoes don’t last forever, so maybe stick a few servings in your freezer to defrost on a cold day. Your Winter Self will thank you. 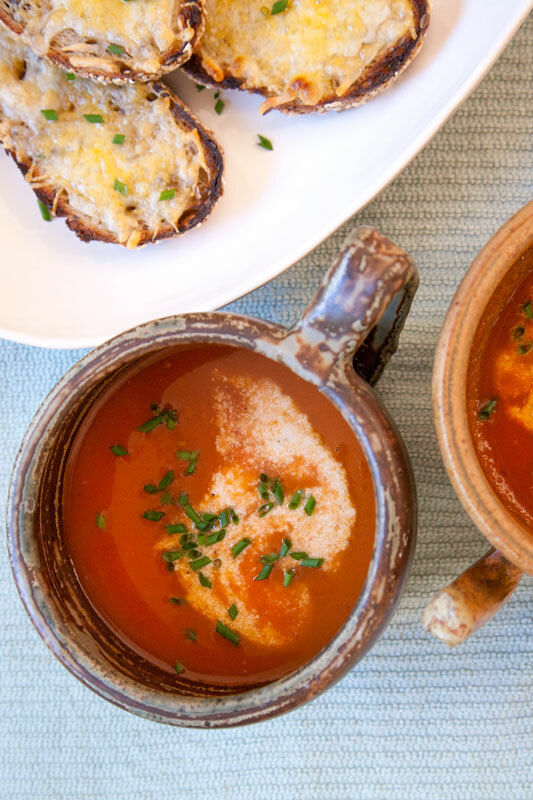 Ripe, firm, juicy roma or plum style tomatoes are ideal for this recipe. 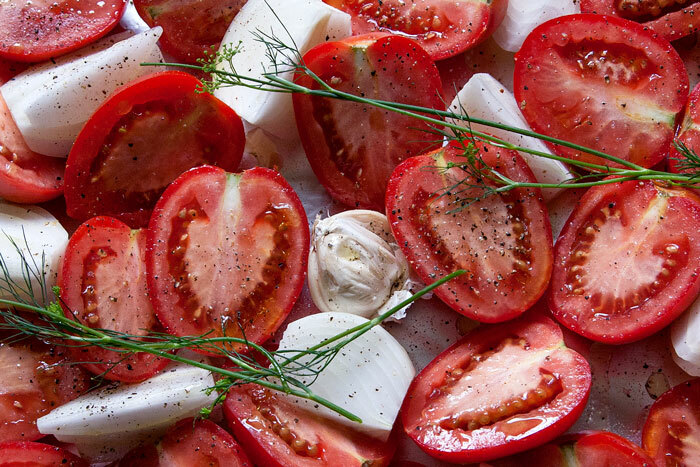 The roasting step can be prepared 1-2 days ahead, which can be convenient if you find yourself heating your oven for another meal; the cooked tomatoes, onions and garlic can be left to chill covered in the refrigerator until ready to resume. If you wish to make this without a pressure cooker, it can be cooked just as easily on the stovetop by bringing to a boil and reducing to a simmer until the desired consistency and flavor is reached. 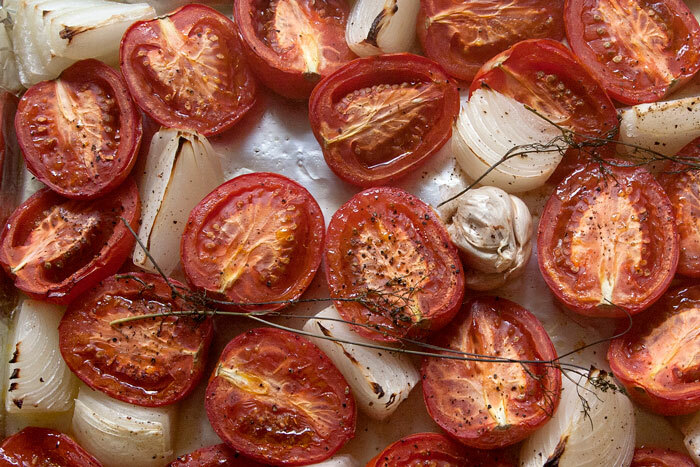 Preheat oven to 400 F. Line a large sheet pan with aluminum foil and arrange (cut side up) the halved tomatoes, onion wedges, and the whole unpeeled garlic head in a single layer. If desired, scatter a few sprigs of fresh herbs on top. Drizzle everything with olive oil, and season generously with salt and pepper. Roast for 1 hour, until the tomatoes are soft and juicy, and the onions begin to brown around the edges. When the garlic is cool enough to handle, separate the cloves and squeeze each roasted center out of its skin. If the tomatoes were roasted with fresh herbs that have woody stems, discard the stems after stripping the tender leaves over the tomatoes. 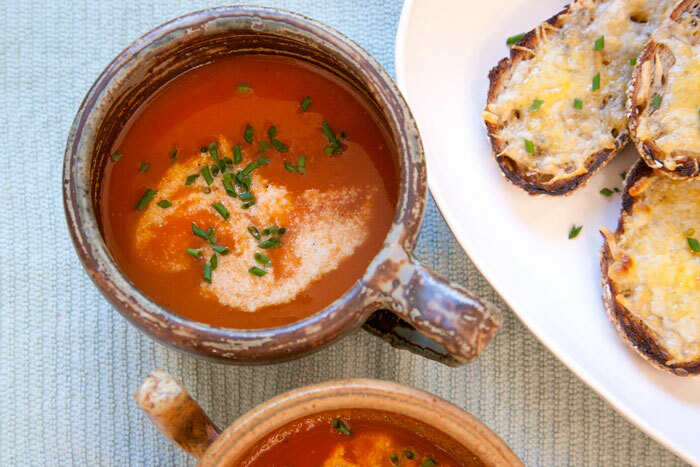 Transfer the peeled garlic, tomatoes and onions into the pressure cooker and blend with an immersion blender until smooth (or alternately, transfer to a standard blender to puree before transferring to the cooker). Stir in the broth, then taste and adjust seasoning if desired. Cover the pressure cooker with the lid, ensuring that the valve is in sealed position. 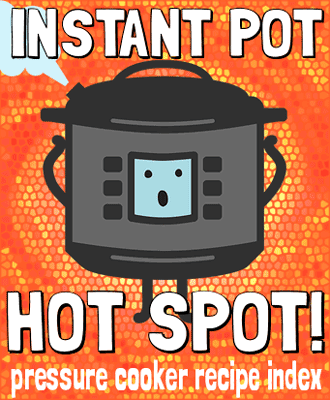 Cook under high pressure for 5 minutes (with Instant Pot, press ‘Manual’ mode, and adjust time to 5 minutes). When the cooking time is complete, allow the pot to de-pressurize naturally for at least 10 minutes before opening the lid. Serve hot, finishing each bowl with your favorite fresh herbs, and dairy or cashew cream, if desired. 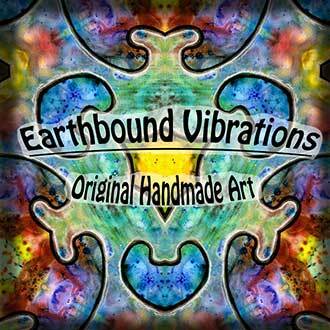 This looks awesome and I look forward to making it once we get past this 90-degree weather here in Virginia. Can you share how many this is supposed to serve? Can’t wait for Fall to actually arrive. Ahh, cooking season, we’re almost there! I got about 6 servings from this batch size. Next Next post: [Instant Pot] Insta-Beets!